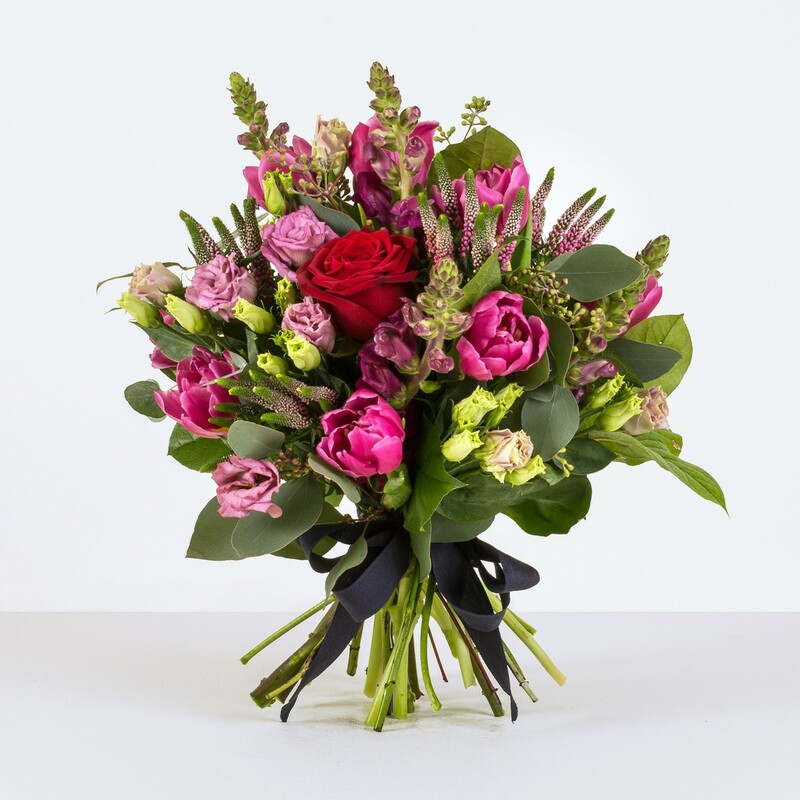 In this collection of blooms we have assembled some of our most beloved flowers in varying shades of pink and red. A perfect gift. Extravagance brings a burst of colour, texture and variety to the lucky recipient, where foliage and flowers combine to great effect. Tulips and roses nestle next to sprigs of veronica and pretty lisianthus, where charming snapdragon heads of antirrhinum finish the arrangement perfectly.